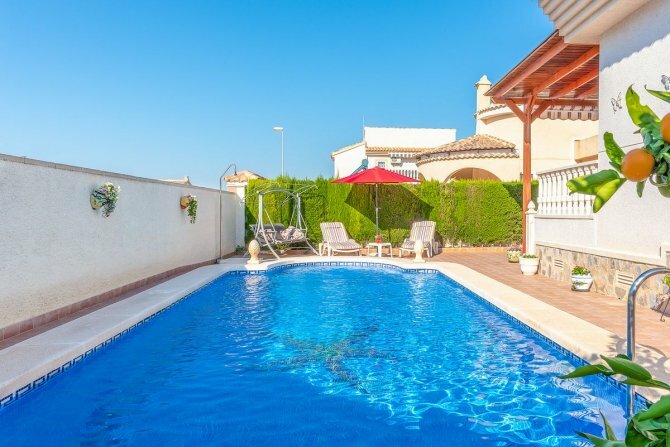 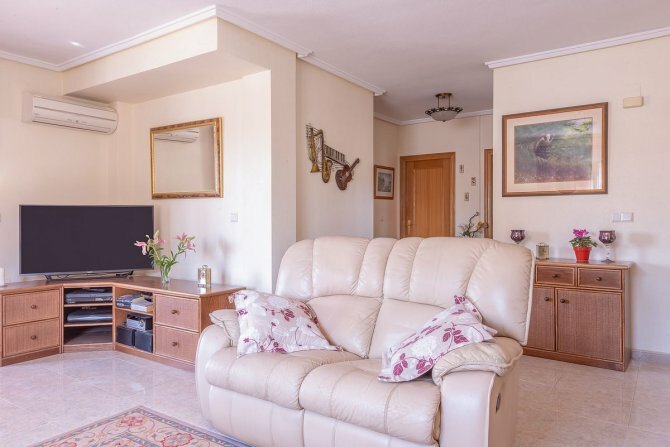 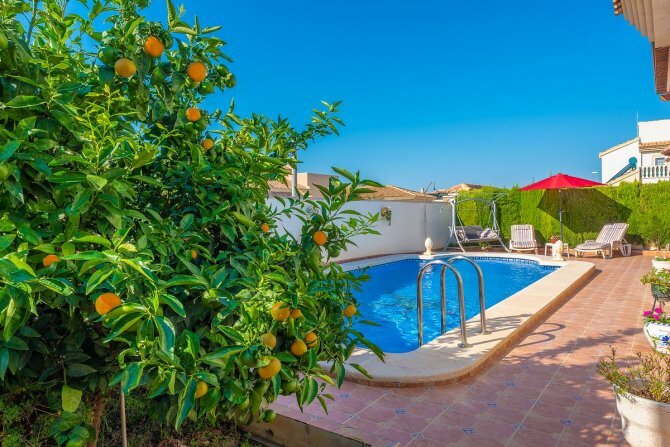 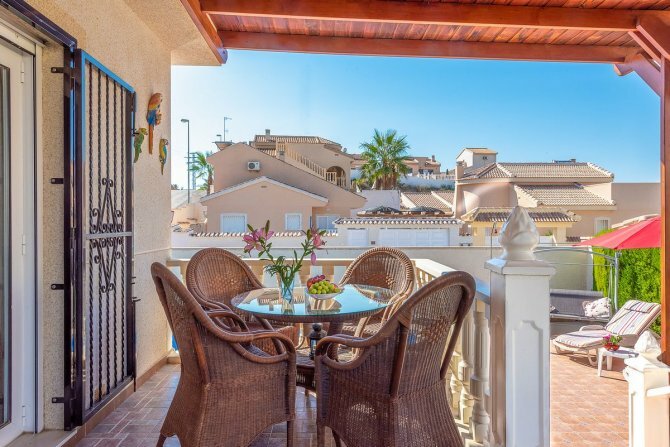 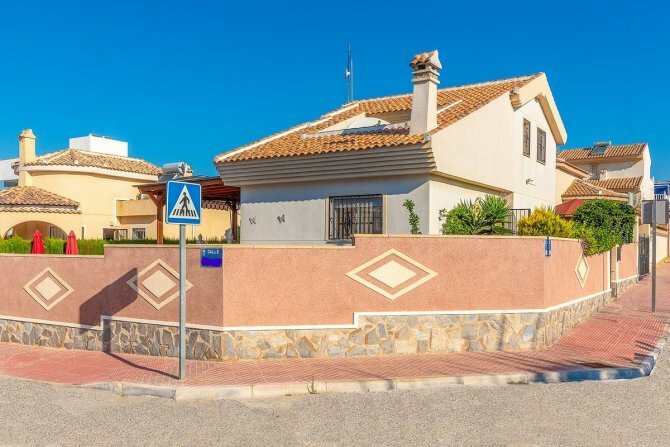 Fabulous detached private corner villa in Benimar II, on the ground floor you have a welcoming sitting room with gas fireplace and patio doors that opens out onto a lovely terrace and then down some steps to the large open pool/sunbathing area. 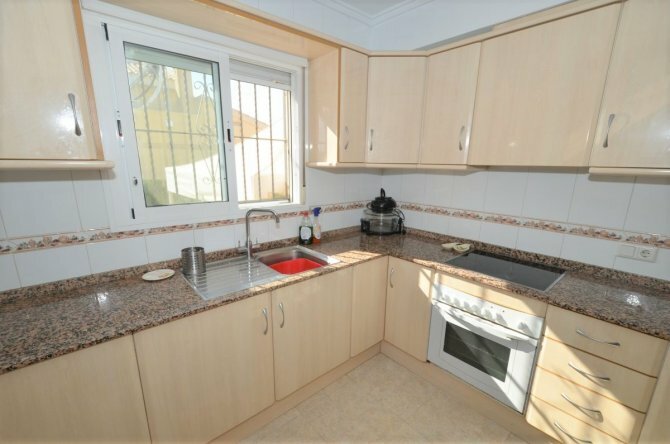 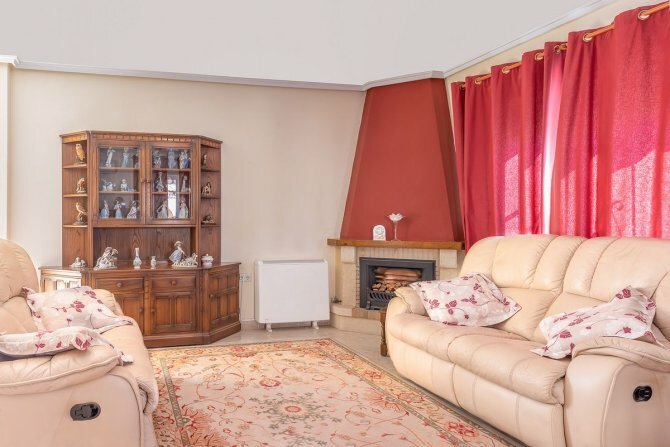 The fully fitted separate kitchen is a good size and you have the master double bedroom with en-suite, storage cupboard and a walk in shower room all on the ground floor. 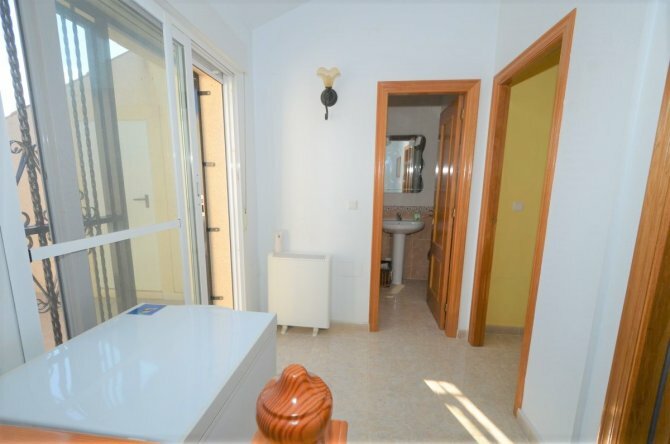 Upstairs there are two double bedrooms, walk in shower room and a terrace with two storage cupboards. 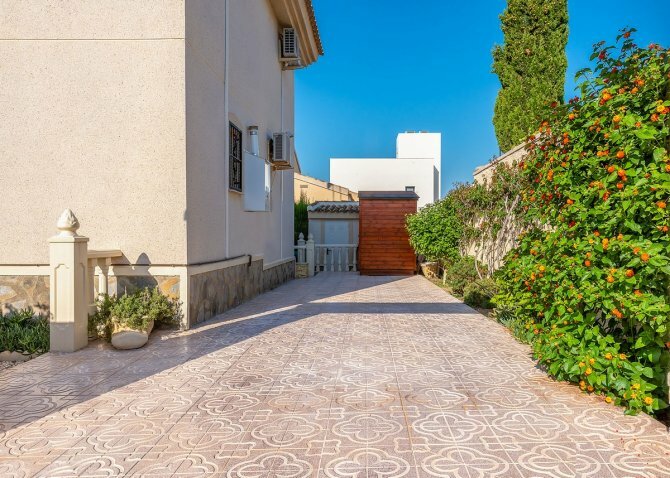 Off road parking for two cars and a large storage cupboard at the rear of the house. 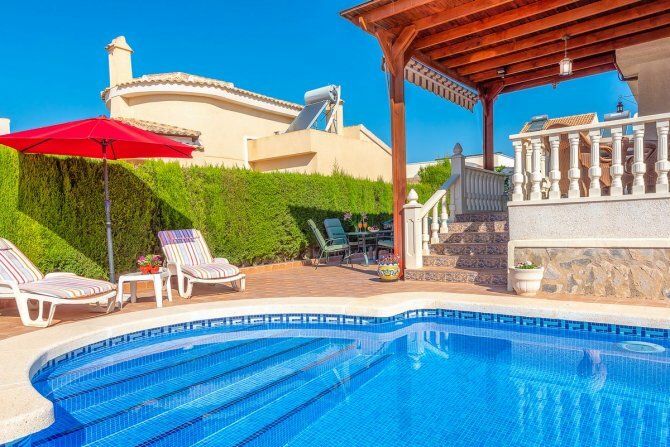 This property comes with many extras, mains gas, electric central heating, air conditioning, mosquito nets, solar heated 8x4 swimming pool, ample storage, the living area is all very bright and spacious, well built and maintained to a very high standard. 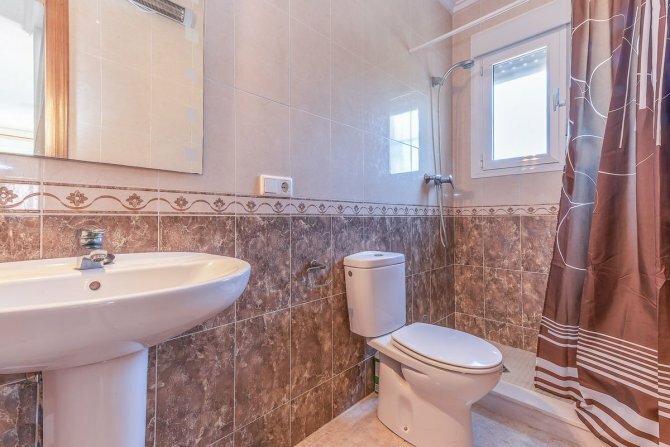 A viewing is highly recommended to really appreciate this property. 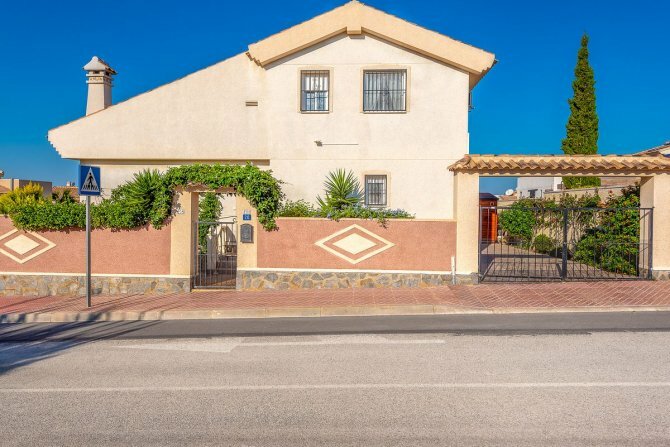 You are only 15-20 min walk into Ciudad Quesada where you have plenty of bars, restaurants, shops, banks, petrol station and doctors. 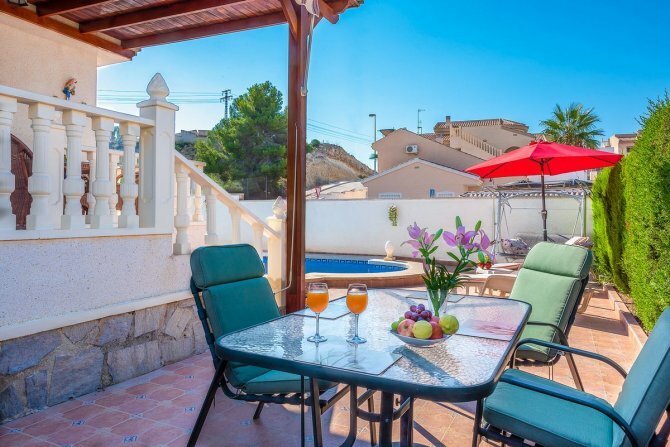 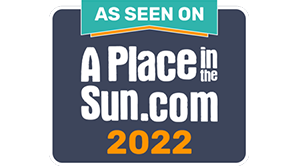 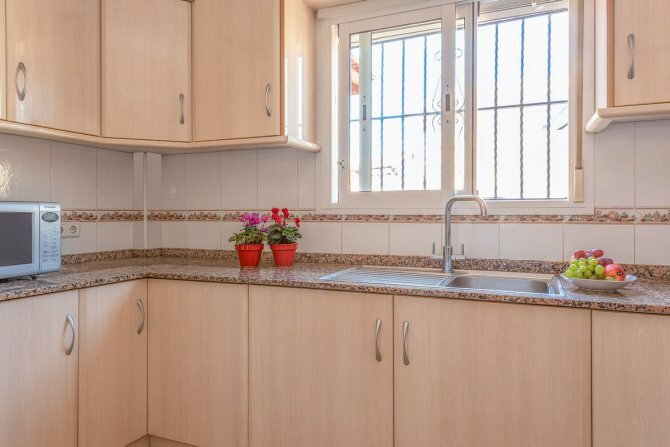 BENIMAR is a very popular residential area with its own commercial centre, which consists of bars, restaurants, shops and even a vets, you also have a lovely park with a children's playground and water feature, plenty of parking and lots of walking/cycling paths. 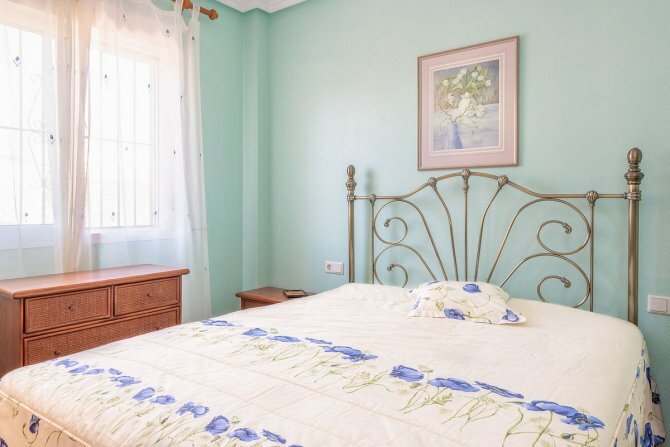 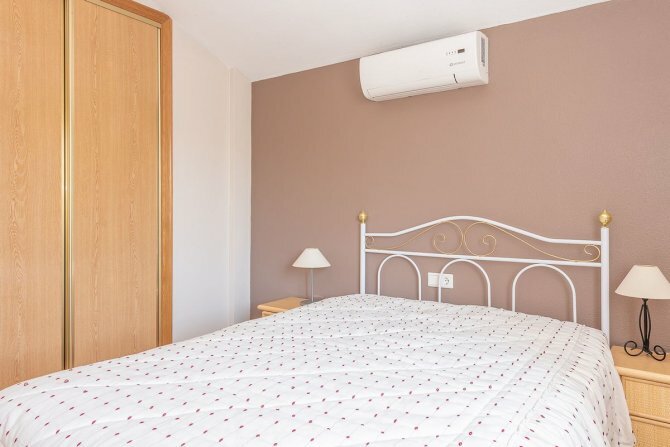 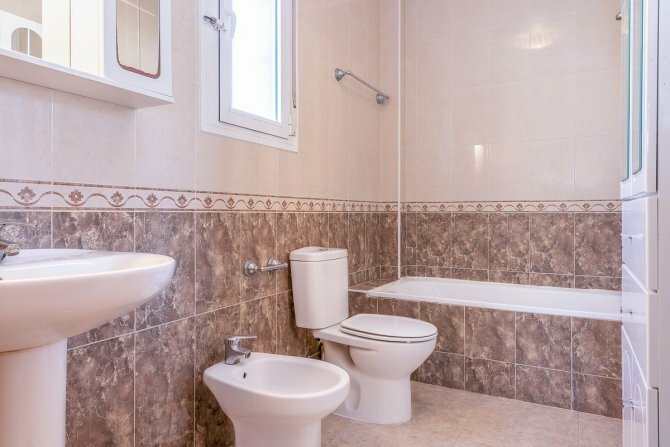 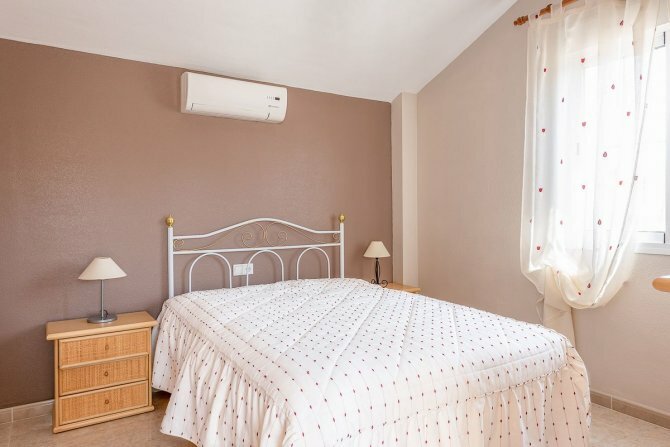 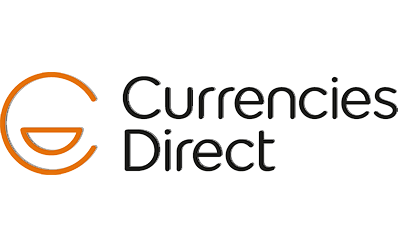 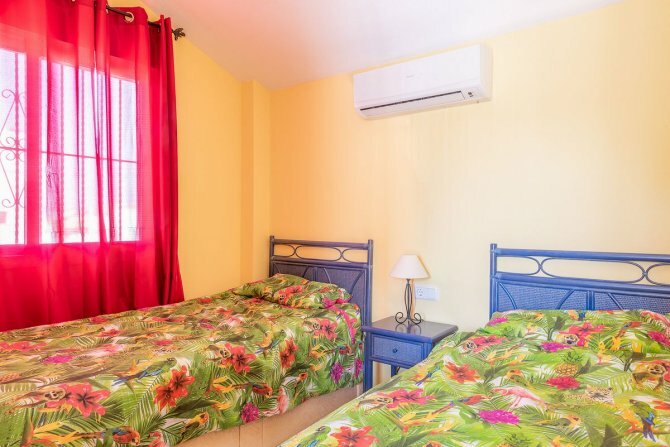 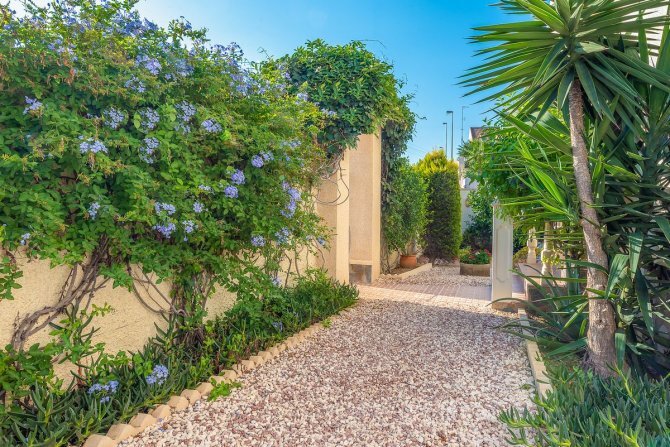 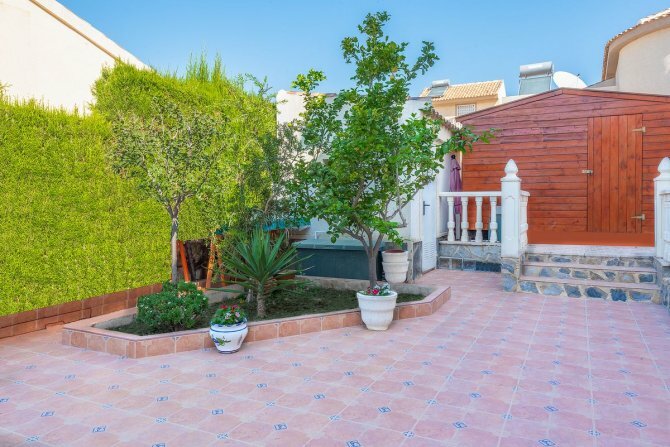 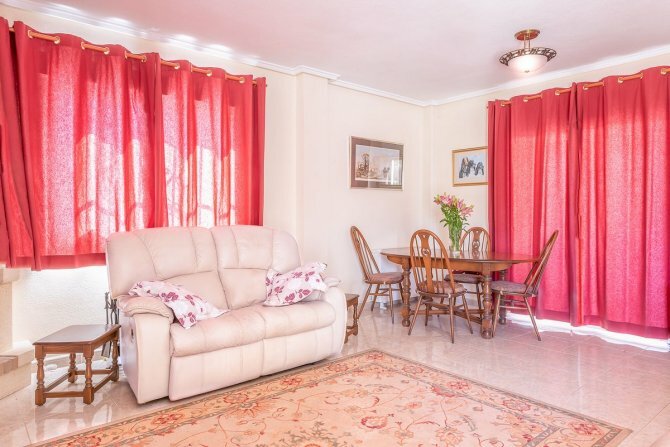  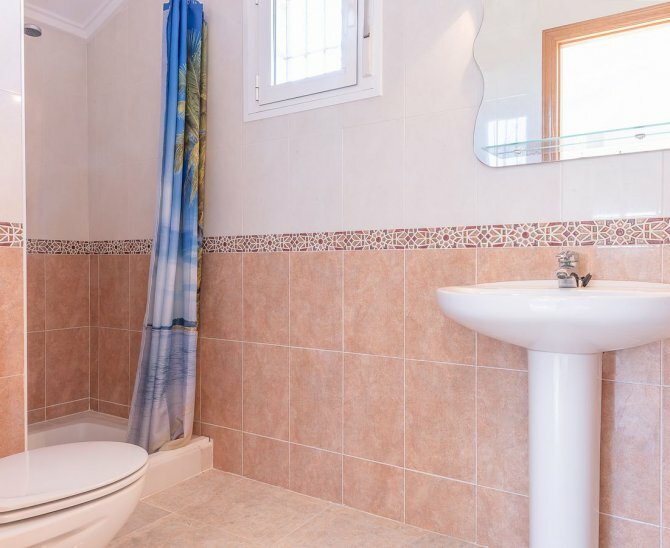 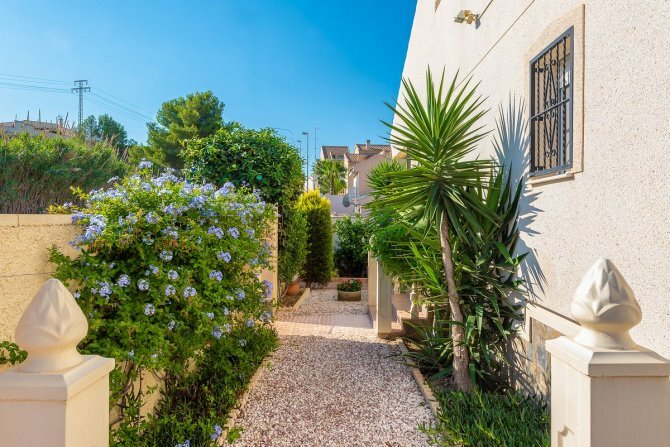 You are within walking distance to both Rojales and Benijofar and only 10 minutes drive from the beautiful golden beaches of Guardamar del Segura and 30 minutes drive from Alicante airport.